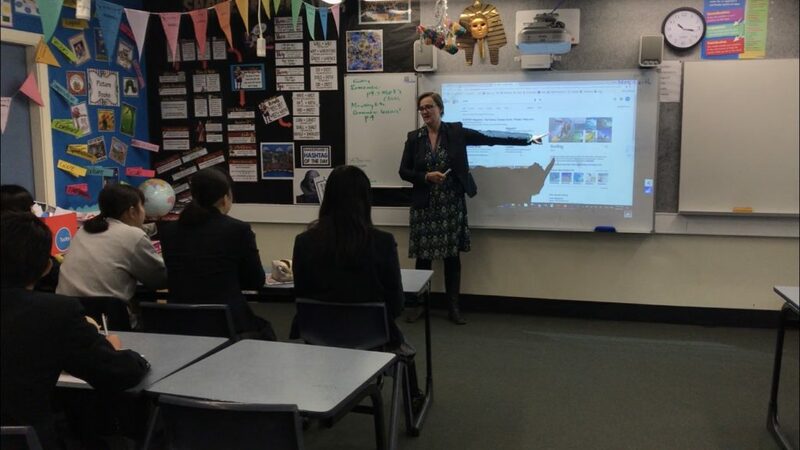 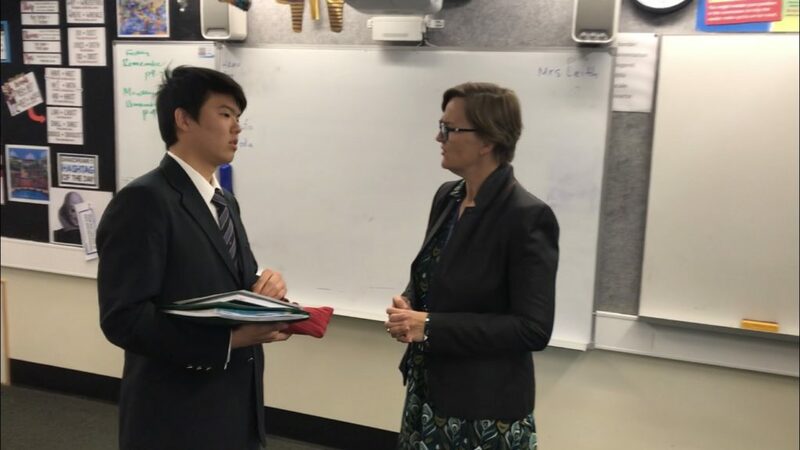 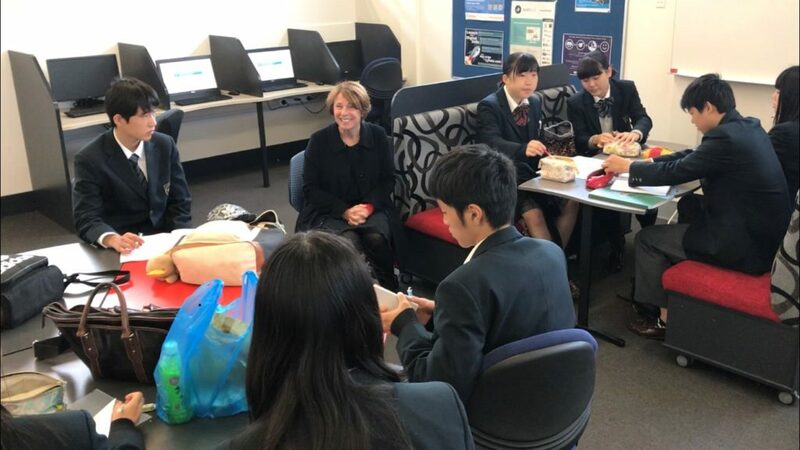 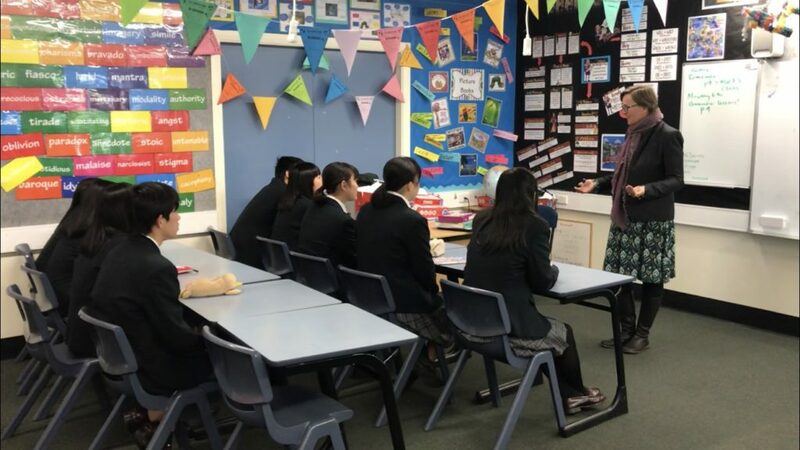 There is a meeting about today’s lesson which we are going to take by Mrs Sue Band, an international department staff.We check classrooms where we are going to take each lessons in advance, this is because we move to a classroom every each lessons. 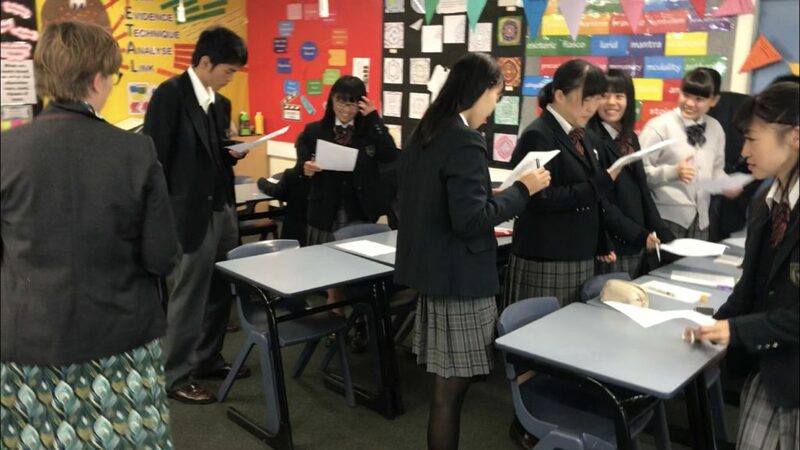 We participated in ESL class which is basic English lesson for non native English speakers. 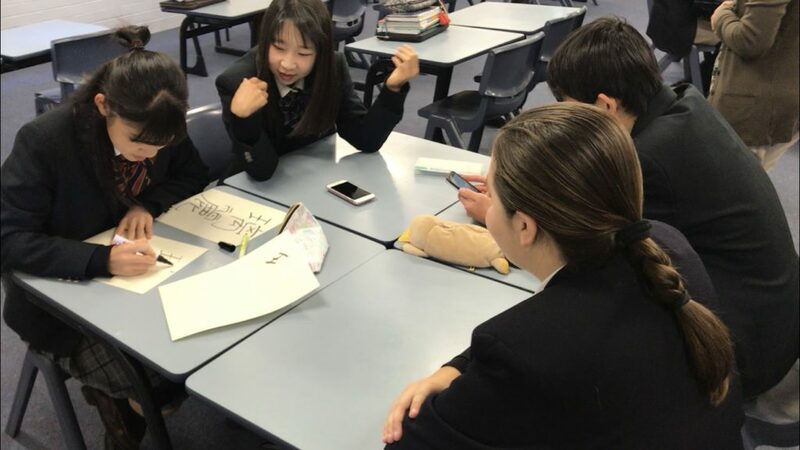 Though ESL teacher used not Japanese but English, she taught English considering our levels. 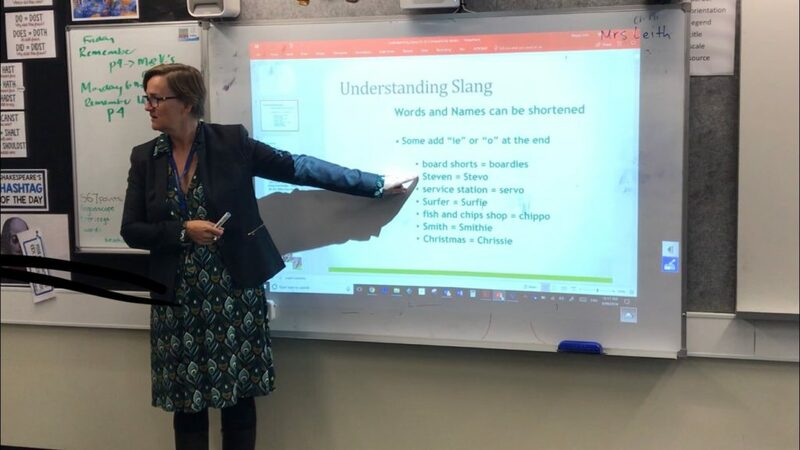 She also taught us useful daily expressions being used by Australians. 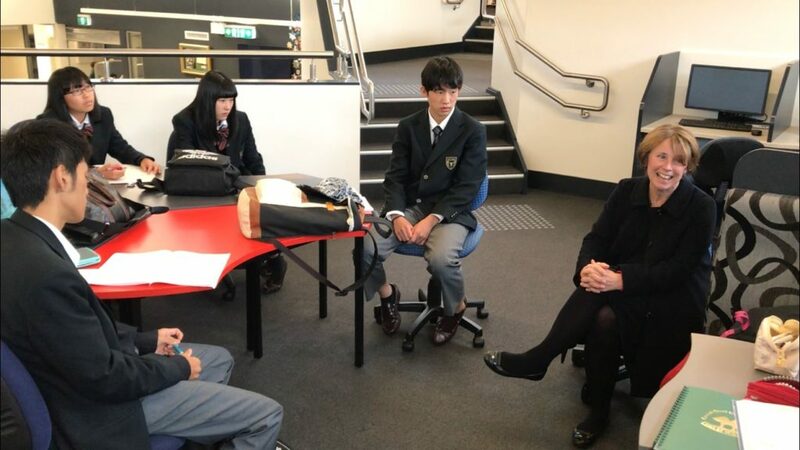 There was Japanese class of year 10. 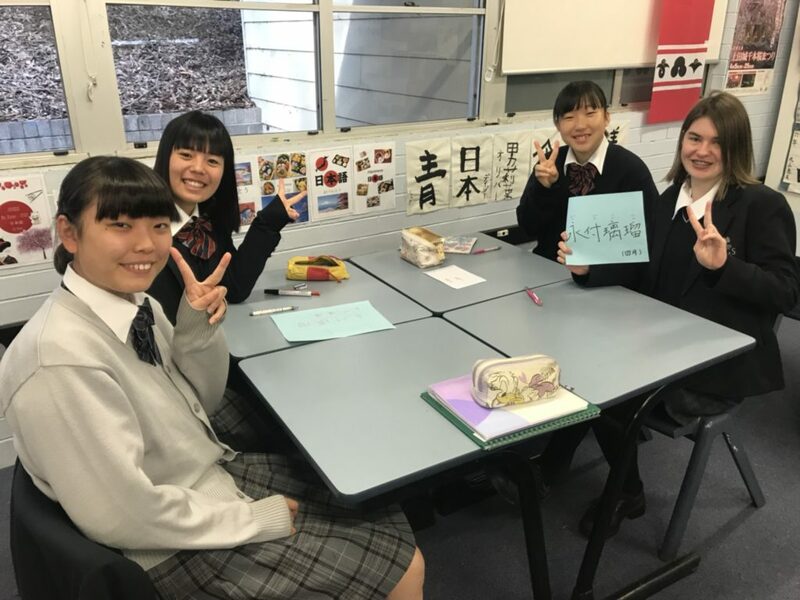 One of the students who is visiting Japan next September takes this class. 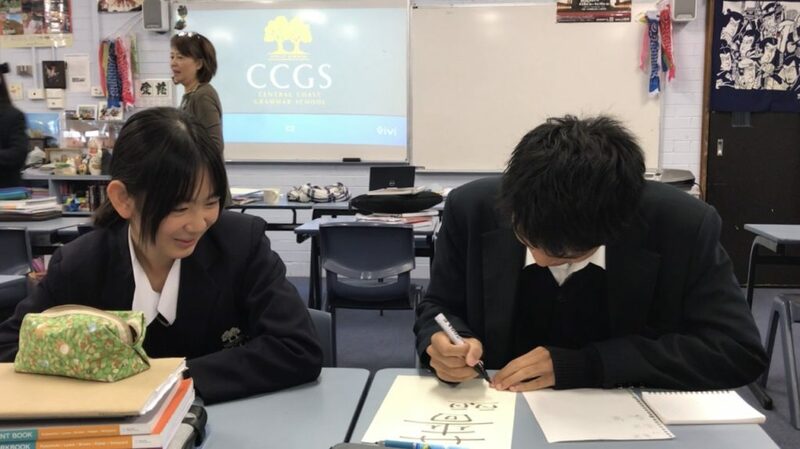 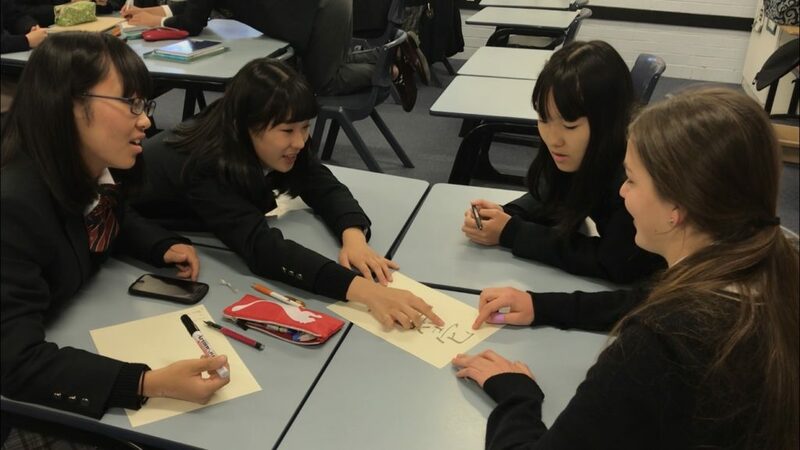 Our students expressed CCGS students’ name in Chinese characters and then we explained their meanings in English.